Below are just a few of the attractions we have in the Park. 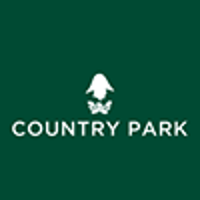 Why not take a look at our ‘Interactive Park Map’ to see all of our attractions? Slide, swing or climb your way around our adventure play areas and trails. A full assortment of play equipment lies ahead, ready for you to try! Don’t forget to ride the giant zip wire or to have a go on Jack Straw’s balancing beams! There are a number of locations within the Park designed especially for toddlers. These offer a range of exciting and engaging play equipment for younger ones in the family to enjoy, giving hours of fun! Take a walk to our Animal Farm to visit all your favourite farmyard friends! You can see our Shetland ponies, donkeys, sheep, chickens rabbits, pigs, goats, and, coming back for their second year, our Alpacas. Please note that during low season, only the petting barn is open. Why not have a go at feeding our goats and sheep? Animal feed can be purchased from the admission desks. You can also join in our animal petting sessions, which are held in our petting barn! Please ask at Reception for further details. ‘This attraction has a height limit of 1.2m, so it is only available to our smaller visitors. Look on whilst your children bounce away to their hearts’ content! Our colourful jumping pillow allows our smaller visitors to enjoy the freedom and excitement of leaping in the air! Please note no Food, Drink, Shoes or spectacles are allowed on the pillow for health and safety purposes. Climb any of the ladders to the top of the hill to see the beautiful views of the Park! Then, choose from a selection of slides and enjoy the thrill as you hurtle down! Be warned: they are fast! Several sand play areas are available, some with additional play equipment provided! Bring your bucket and spade and see who can make the biggest sand castle! Take a trip to our water play – pump the water through the wooden channels and watch it cascade over the edges! Then, try our diggers – can you operate the controls? Our indoor play area is designed for those aged 2 and under only! This provides somewhere for the very young to play freely and in safety with a variety of indoor play equipment, whilst allowing you to relax and just watch on! Why not enjoy a cup of coffee while you wait? Our miniature train is a perfect miniature replica of an engine used within the Woolwich Royal Arsenal. That locomotive itself, was a copy of the original locomotive which was built in 1928 in Bristol, a 1m guage engine used in the South African mining industry. Our locomotive built by the same company in Bristol in 1991, is a 7 1/4" guage diesel hydraulic locomotive powered by a Kubota 3 cylinder 850TC diesel engine. Named after the Duke of Wellington’s grand-daughter, 'Charlotte', she will gracefully take you on an exciting trip through our woodlands. See how many animals you can count on your journey! The train generally operates daily, but this can vary depending on weather conditions. Please check prior to your arrival for the operating times. Please note that an additional fee applies. Play our new minigolf course, a challenge for all ages. Pick up your clubs from the admissions desks. Please note that a £10 deposit is required for up to 6 clubs. These automated jeeps are for children aged 4-10 years. Watch as they drive themselves around on our woodland track! Please note that Welly Wheels is subject to weather conditions and that an additional fee applies. We’ll make it a 'Birthday' to remember! Looking for a different location for your child’s birthday party? Then look no further! For children up to the age of 8, we have put together the ideal Birthday Party Package! Held in our Party Room within the Park grounds, we have put together a Party Package for you that will be completely unique to your requirements. After the party itself is over, you and your guests then have the opportunity to remain in the Park, for the remainder of the day - At NO EXTRA Charge!!! What is included in your Birthday Party package? *Two adults enter for FREE with the birthday child (normally birthday child parents/guardians). **One FREE adult entry per ‘full priced’ party child. Any additional adults are charged at £6.00 per person. This great package is only £17.95 a child! This wide range of extras allows you the chance to make your childs party completely unique! Adult Sandwich Platter - Price per platter including paper plates and napkins £25.00, for a minimum of 10 people. Any extras charged at £2.00 per person.